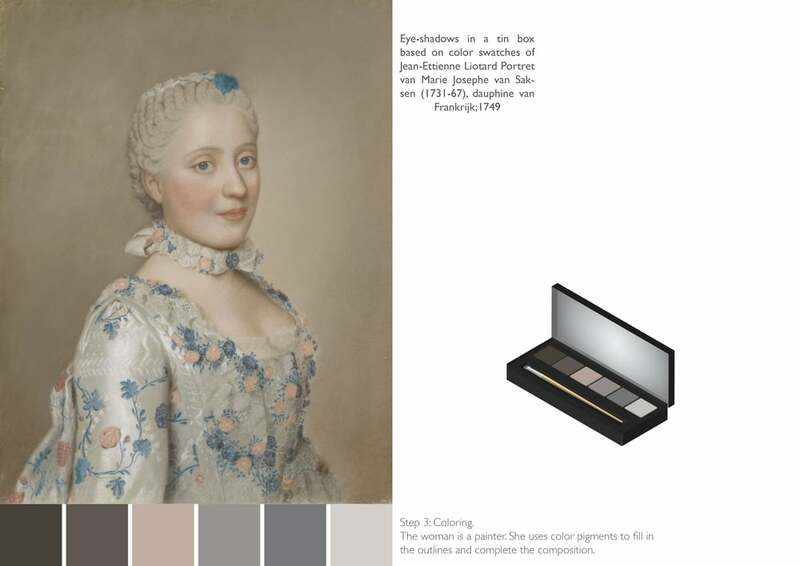 Rijks Muse is a make-up collection based on color schemes extracted from female portraits in the Rijks Museum collection. Woman through the centuries have been an important source of inspiration for artists. The woman in art is a muse, an object of beauty and of knowledge. Rijks Muse make-up collection is a tool to embrace the qualities of the woman: her beauty and wisdom. It enhances to present her qualities in everyday life. Every form of art has its own means of expression: volume is the main mean of expression used by sculptors, line by draftsman, and color by painters. Make-up is a mean of expression too, women use it to emphasize their qualities and characteristics. Every morning women become artists, ready to create new images of their selves. The woman is a sculptor; by applying foundation she is modeling the volume of her face. 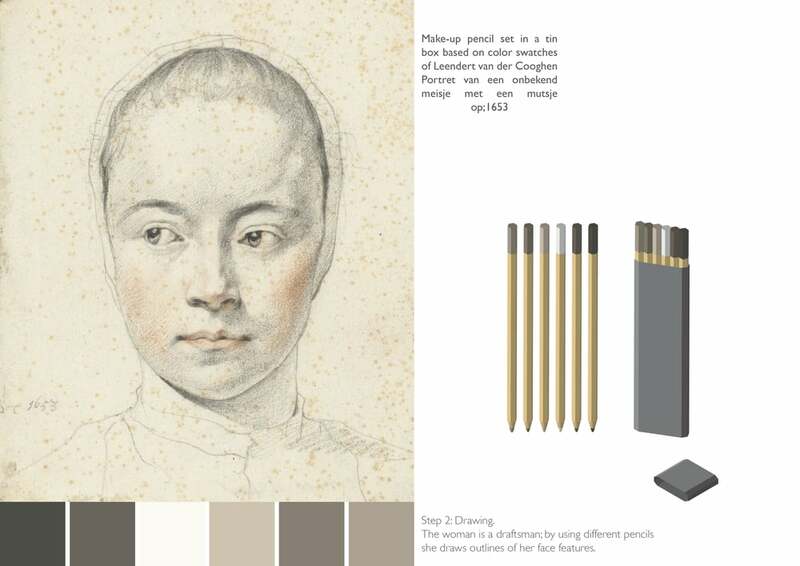 The woman is a draftsman; by using different pencils she draws outlines of her face features. The woman is a painter, she uses color pigments to fill in the outlines and complete the composition.